3D puzzle by Kikkerland that you put together yourself with the accompanying manual. You don't need any glue or tools for it, and once you've finished you'll have a beautiful little artwork in your house. Set of 2 handy nail clippers. One in large size for the feet (and in the shape of a foot); one in smaller size for the hands (and in the shape of a hand). Set of 2 nail clippers, one for the feet and one for the hands, in the form of kittens. Equipped with a waste compartiment. Always a party at hand with the iPhone Disco Light. Just plug in and party. Beautiful and comfortable jewelry box, designed as a luxury book, and the perfect place to safely store of hide your jewelry. With various compartments for optimal storage of different types of jewelry. 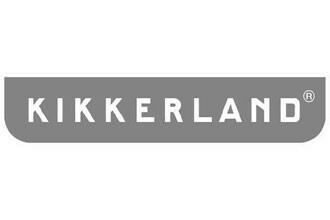 Kikkerland is known all over the world for its large and original range of unique gifts, in which function, design and fun come together.